Boston University School of Medicine (BUSM) professor of pediatrics Jerome Klein, MD has been recognized by Boston Medical Center with the establishment of The Jerome Klein Award for Physician Excellence. The award was presented by Ravin Davidoff, MD, BMC’s Chief Medical Officer to Dr. Klein in its inaugural year to commemorate this milestone and in recognition of his dedicated commitment and service. 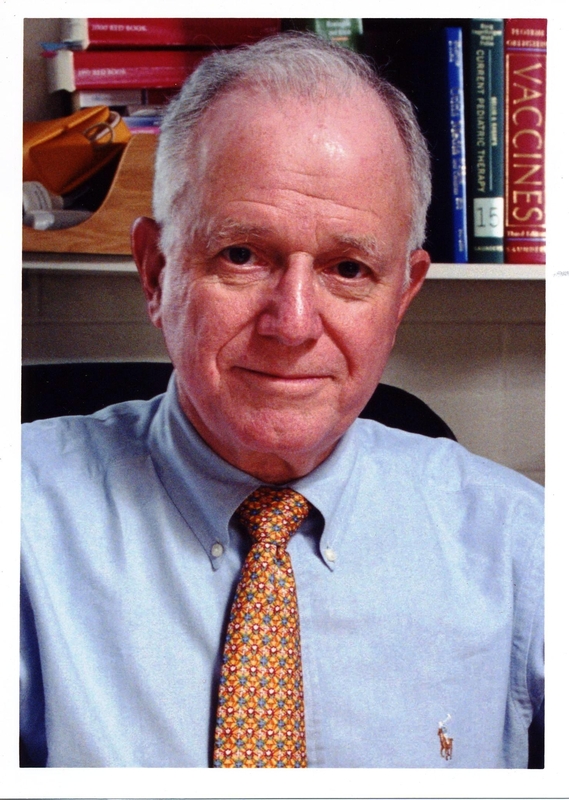 In addition to serving as a Professor of Pediatrics at BUSM, Dr. Klein is the former Chief of Pediatric Infectious Diseases at BMC, Associate Editor at Clinical Infectious Diseases Journal and lecturer at Harvard Medical School. He has authored or co-authored two books and more than 450 articles on the infectious diseases of infants and children. 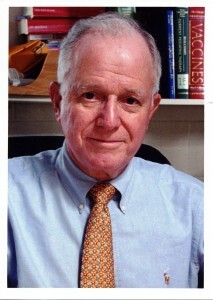 Dr. Klein is the recipient of numerous awards, including the Distinguished Physician Award of the Pediatric Infectious Diseases Society, the Bristol Award for Distinguished Achievement of the Infectious Diseases Society of America, Clinician of the Year Award of the Massachusetts Infectious Diseases Society, Lifetime Achievement Award for Clinical Research of the Society of the Ear, Nose, Throat Advances in Children, and the Maxwell Finland Award for Scientific Achievement from the National Foundation for Infectious Diseases. His positive attitude and spirit have been evident throughout his 50-year career at BUSM, BMC, and its predecessor, Boston City Hospital.